D-1920, Red Color, Handmade Paper, Hindu Cards. 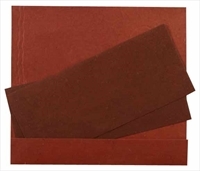 Red Khakala - Jute mottled handmade paper (250gsm) for docket style card and 2 inserts. Yellow Batik Handmade paper (200gsm) for jacket of card and box pattern mailing envelope. 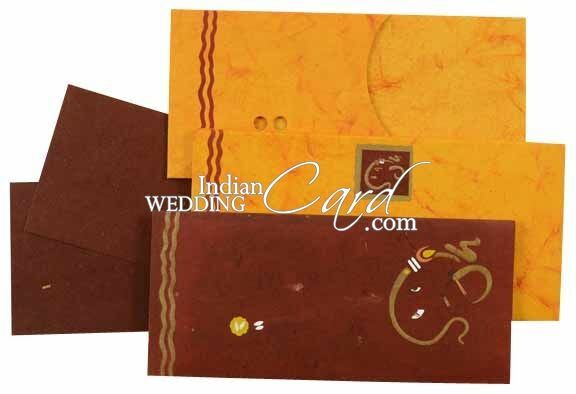 Silk Screen Printing in Red color as per front of card.